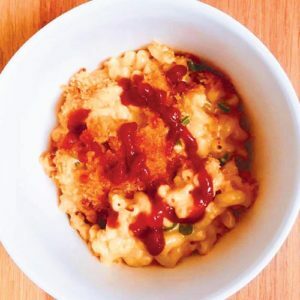 This is, without a shadow of a doubt, the most delicious macaroni and cheese recipe you’ll ever find. It comes from this speciality cookbook all about Mac and cheese: HYPERLINK. It could serve 4 people who like to eat in moderation, or two people who are comfortable with not moving for the rest of the night and not looking to impress anyone. Christian and I were of course, the latter #noregrets. 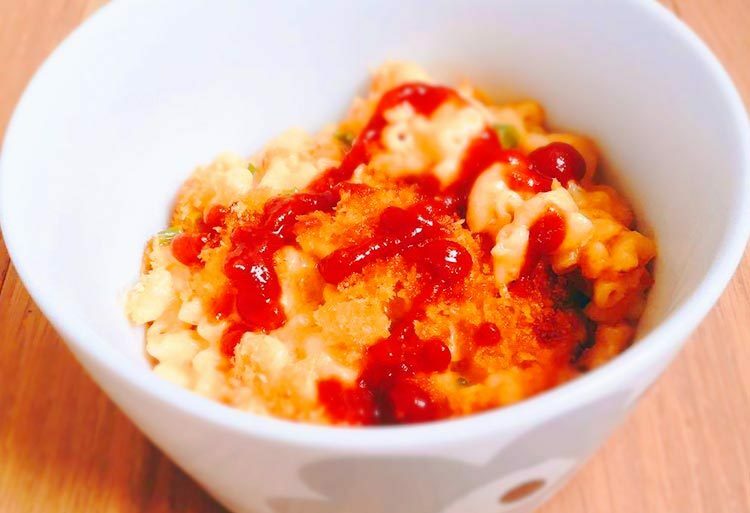 The concept of Mac and cheese night was born when I attempted to make my own Mac and cheese recipe and wound up with something edible at best. Christian introduced me to this gem of a recipe and I’m a changed woman. Preheat the oven to 400f/220c. Cook the pasta in salted water until a little less than al dente. Drain, rinse with cold water, and drain again. Mash together the ginger and butter in a small bowl until fully combined, set aside. Heat the milk in a pot over medium heat until it just starts to bubble, but don't let it boil. Remove from the heat and set aside. Heat the butter over medium heat in a separate pot. Once the butter has melted, add the flour and whisk constantly until the mixture turns light brown (roughly 3 minutes). Remove from the heat. Slowly pour the warm milk, about 1 cup at a time, into the butter flour mixture, whisking constantly. Once the milk has been added, put the pot back on the medium heat and continue to whisk constantly. The sauce should thicken- if it doesn't slide off a spoon dipped in, it's ready. Add the sauce, cheese and ginger butter to a large pot and cook over medium heat. Stir until the cheese is barely melted, about 3 minutes. Add the sriracha and the cooked pasta and continue cooking while stirring continuously until the dish is nice and hot, another 5 minutes. Add the green onions and stir to fully combine. Pour the mixture into a 14 inch casserole pan and sprinkle with Panko. Bake 20 minutes. Serve topped with more sriracha!